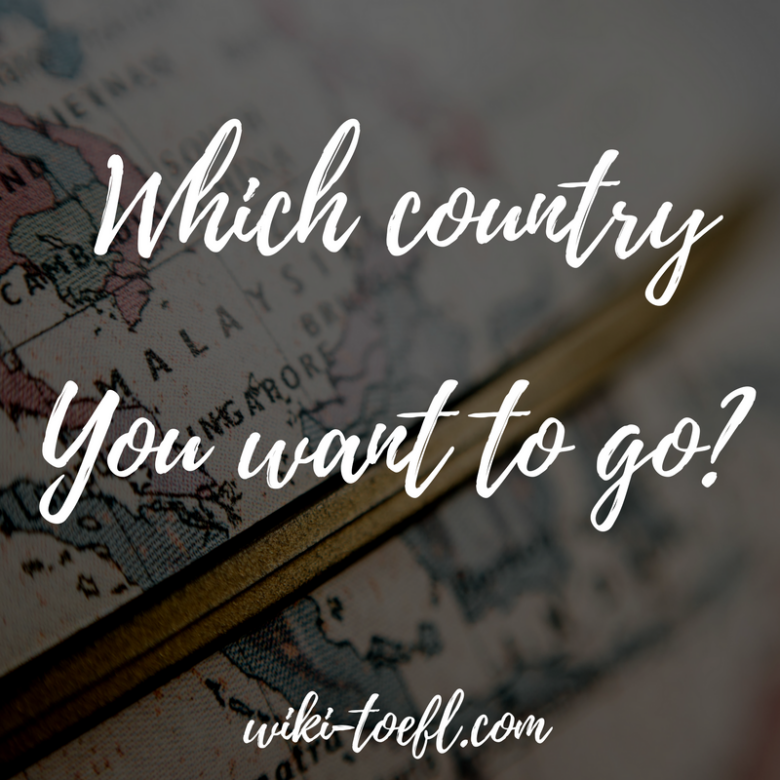 Home Writing	Toefl writing: Which country would you like to visit for two weeks? If I could visit any foreign country, I’d like to visit Ireland. The scenery there is so beautiful . Ireland has a lot of rain and that makes everything very green and lush . It hasn’t become a completely industrialized country yet, so there are still areas where the countryside is unspoiled by pollution. Often ,you can drive for miles without seeing another car or coming to a big city. I’d like to take my set of paints and several canvases and try to capture some of the scenes there. It seems every way you turn, you’re looking at beautiful scenery. The area near the ocean is especially dramatic, with giant dark cliffs rising out of the water. I also think I’d enjoy the slower pace of Ireland. It’s so different from the busy pace of my country . Of course, Ireland’s big cities are just as hectic as any big city anywhere. But many of the Irish live in smaller towns or on farms in rural areas. Visiting these places is very restful. People don’t feel the need to stick to a schedule . Things get done , but in a much more relaxed fashion. In my country ,there’s the feeling that you’re always late for something. In Ireland ,it feels like you’ve never late because no one stays on schedule. Most of all, it would be interesting for me to meet the cousins in my mother’s family. They live in Donegal . I could see the house where my grandmother grew up and where my cousins still live. This house is connected to a lighthouse. Visiting there would give me a clearer idea of what my grandmother ‘s childhood was like. Ireland would be a refreshing break from the life I lead in my own country. I wish I could go there.